What is a fair return on investment that also helps your community? Michael Shuman wrote this article as part of The New Economy, the Summer 2009 issue of YES! Magazine. Michael is director of research and public policy for the Business Alliance for Local Living Economies (livingeconomies.org) and author of The Small-Mart Revolution: How Local Businesses Are Beating the Global Competition (Berrett-Koehler, 2007). Americans want to invest locally: here’s how. The Obama Administration believes that the best way to repair our financial system after the Great Crash of 2008 is to improve the performance and oversight of global banks and investment firms. A growing number of Americans, however, would prefer to pull their retirement savings out of these high financial fliers altogether. They would rather invest in their communities. The problem is, they can’t. Outdated federal securities laws have left Main Street dangerously dependent on Wall Street, and overhauling these regulations turns out to be a hidden key to economic revitalization. There are two reasons Americans increasingly wish to invest in locally owned businesses. First, they understand that these businesses are the real pillars of a prosperous, sustainable economy. A growing body of evidence suggests that every dollar spent at a locally owned business generates two to four times more economic benefit—measured in income, wealth, jobs, and tax revenue—than a dollar spent at a globally owned business. That’s because locally owned businesses spend more of their money locally and thereby pump up the so-called economic multiplier. Other studies suggest that local businesses are critical for tourism, walkable communities, entrepreneurship, social equality, civil society, charitable giving, revitalized downtowns, and even political participation. Second, many Americans no longer believe Wall Street’s assertions that a global, publicly traded corporation is the safest place to invest their savings. According to data in Statistical Abstract, sole proprietorships (the legal structures chosen by most first-stage small businesses) are nearly three times more profitable than C-corporations (the structures of choice for global businesses). Moreover, a bunch of global trends, like rising energy prices and the falling dollar, are making local businesses increasingly competitive. Meanwhile, Americans are shifting their spending from goods to services, a trend that promises to expand the local business sector, since most services depend on direct, personal, and, ultimately, local relationships. >Locally owned businesses currently generate half of the private economy, in terms of output and jobs. Add in other place-based institutions—nonprofits, co-ops, and the public sector—and we’re talking about 58 percent of all economic activity. So in a well-functioning financial system, we’d invest roughly 58 percent of our retirement funds in place-based enterprises. Yet local businesses receive none of our pension savings. Nor do they receive any investment capital from mutual, venture, or hedge funds. The result is that all of us, even stalwart advocates of community development, overinvest in the Fortune 500 companies we distrust and underinvest in the local businesses we know are essential for local vitality. This situation represents a colossal market failure. The good news is that much of the problem could be solved by modernizing securities laws. Today these laws place huge restrictions on the investment choices of small, “unaccredited” investors—a category in Securities and Exchange Commission vernacular that includes all but the richest 2 percent of Americans. The regulations prohibit the average American from investing in any small business, unless the business is willing to spend $50,000 to $100,000 on lawyers to prepare private placement memoranda or public offerings—thick documents with microscopic, all-caps print that no human being has ever actually been observed reading. Were these reforms enacted nationally, literally trillions of investment dollars could begin to move into the local business economy. One easy reform would be for the SEC to allow low-risk public ownership of locally owned microbusinesses. By low-risk, I mean that no person can hold more than $100 worth of any one stock—which means that we’re freeing up people to engage in the risk equivalent of a nice dinner for two. By local ownership, I mean that stock shares can only be bought, held, and sold by residents within a state. And by microbusinesses, I mean any business with a total stock valuation on issuance of under $250,000. These new community-based funds and investments, of course, need to be overseen to prevent fraud and ensure accountability. But since all these activities are intrastate, these new rules can be left to the existing securities departments in the 50 states. Once state-level laws are put into practice, many of the absurd requirements of the SEC—like expensive audits and lengthy legal filings—may finally disappear. Were these reforms enacted nationally, literally trillions of investment dollars could begin to move into the local business economy. Entrepreneurs, hungry for new capital in the post-meltdown credit crunch, will begin to restructure their businesses to receive microcapital. Investors terrified of betting all their money in the global casino will start shifting their investments to local businesses they know, trust, and can visit and “ground-truth” with tough questions. The result will be a nation of stronger local economies, with American investors placing more and more of their money into backyard businesses rather than into the untrustworthy hands of distant speculators. Finally, there are two other compelling features about these ideas. First, they cost nothing. And second, the experimentation opened up at the state level will invite all kinds of grassroots engagement and inventions. Instead of spending billions more in federal taxpayer dollars to prop up dubious big financial institutions, why not create a system that’s more stable, safe, lucrative, and democratic—for free? Since 2011, SVP Fast Pitch has connected changemakers with over $2 million in grants, investments, and prizes as well as thousands of hours of coaching from local professionals. The competition is for high school and college students, established nonprofits, startup nonprofits, and for-profit enterprises.The SVP Fast Pitch has expanded now to other SVP chapters including Los Angeles, Calgary, Cincinnati, Sacramento, and Arizona. The Seattle SVP Fast Pitch Final Showdown was an evening of Inspiration and Innovation as philanthropists, impact investors, and community leaders came together at McCaw Hall on October 25, 2016 to see and hear 14 social entrepreneurs present their stories — of systems change and solutions to address critical problems facing the region and the world — and compete for over $200,000 in grants and prizes. A rummage sale app for K-12 schools developed by Belle Pan, a 13-year-old entrepreneur, and our youngest ever winner. She garnered much interest in the media for her innovative idea. 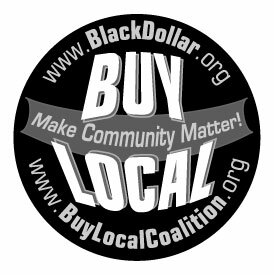 There are many well-documented benefits to our communities and to each of us in choosing independent, locally owned businesses. Here’s why. * Require less public investment than large employers seeking tax breaks or special zoning consideration. Seattle Good Business Network, part of the national BALLE network, is dedicated to connecting, educating and promoting King County businesses supporting Local Living Economies. We are part an international alliance of 52 independently operated local business networks with more than 15,000 members dedicated to building Local Living Economies. A local living economy is important because it provides an alternative to the harmful effects of globalization. A great way to participate in a local living economy is to be a conscious consumer by asking questions like “Is my food safe?”, “Is it local?”, “Does the money I spend get invested back into my community?” By strengthening local independent business, SGBN is fostering economic justice, prosperity, and environmental stewardship. For more information about SGBN contact derek@seattlenetwork.org.